I sometimes wonder what’s more pleasing, the superstars on the red carpet or the graceful jewelry they adorn. I believe both of them remarkably complement each others beauty, no matter what dress it is. Almost all these ladies steal the look from the nature and incorporate colors in their outfits and jewels. Whether it is a simple piece or a bold statement-making bling, colored gemstones bring new and fashionable trends on the couture. Diamonds are veritably dazzling, but a colorful jewel can brandish its splendor beyond your imagination. For each and every dyed outfit, there is a bright and florid gemstone that creates a lasting impression on onlooker’s mind. 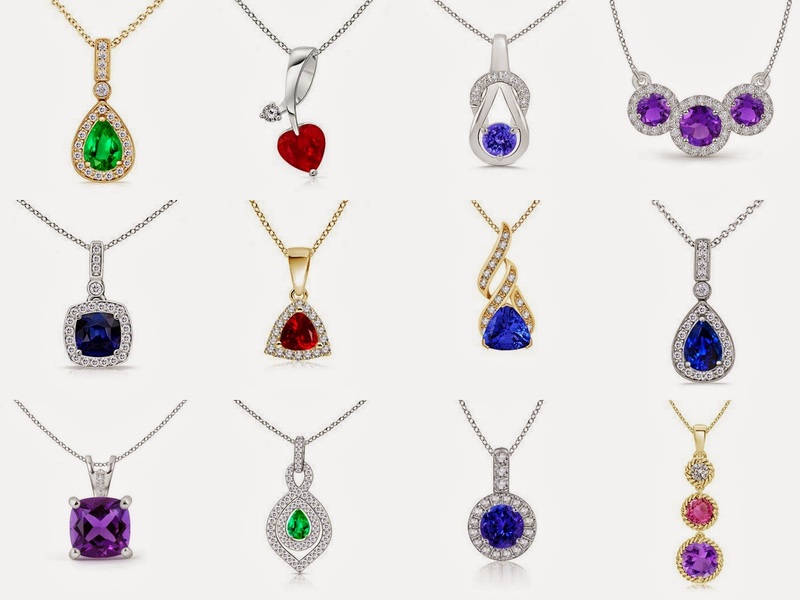 Gemstone pendants and earrings are a favorite pickup of all women, with no age bar. Delicate and thin chain pendants to thick and layered necklaces and cute studs to chandelier earrings, all take you to an adventurous ride and even sways the wearer to fall for themselves whenever they take a look in the mirror. Deep red, royal or pool blue, lush green, orchid purple, etc. are some fresh and rejuvenating shades reflected by the lovely stones. In modern weddings, brides-to-be pair their gowns with the vibrancy of colorful jewelry. There is no article, no interview and no video on fashion that does not talk about artful color combination in jewelry. This year’s Golden Globe Awards was not a miss. The red carpet yielded the tagline ‘Color me beautiful’ with some awe-inspiring and unique blings of the hot ladies. Sofia Vergara’s turquoise necklace, Jennifer Lawrence’s jade earrings, Taylor Swift’s ruby drop earrings, Emma Roberts’s turquoise chandeliers turned all heads, proving the million-dollar worth of these flamboyant charmers.